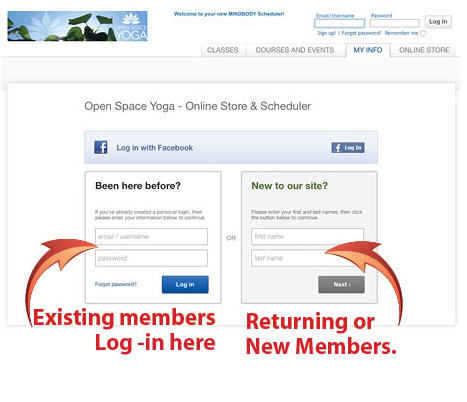 Each Open Space Yoga member has a secure online account with our provider MindBody Online. You can log into your account at anytime to check the status of your pass or membership, you can renew your pass or membership, register into workshops and courses and check the live online class schedule to see if there are any teacher changes or class cancelations. 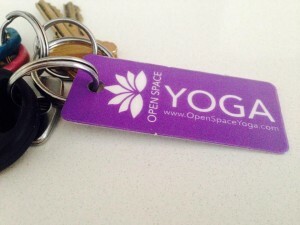 When your account is created and a pass or membership purchased we will issue you with a Key Card to scan in at the front desk each time before class. – Returning customers without an account, search for your name in our database, when found create a secure password. 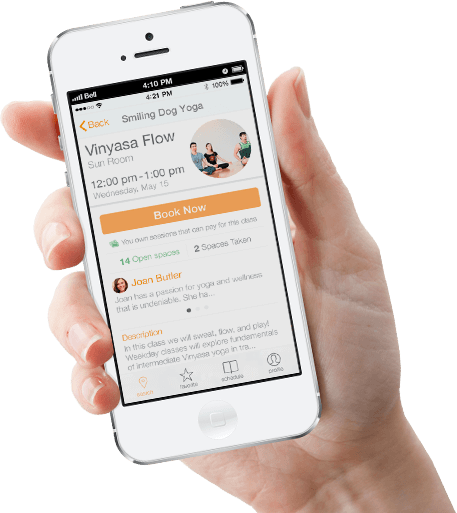 Once logged into account: View live class schedule, register into events, check your pass status or renew or sign up for monthly membership. – Renew your pass easily with our app!